The doctors and medical staff at Harbor Community Clinic have significant expertise in providing the most advanced pediatrics care for prevention and treatment of illnesses and diseases, helping children in San Pedro, CA, and throughout the Los Angeles and South Bay communities lead healthier lives. How often should my child have a pediatrics visit? The American Academy of Pediatrics says children should have checkups every year, beginning at three years old. During the first three years, office visits will occur more frequently to ensure your child receives the proper immunizations and to identify any issues that could have an impact on your child's development. Bringing your child in for regular pediatric visits is vitally important to ensuring your child stays healthy during childhood and for setting the stage of a lifetime of good health. And of course, in addition to routine exams, your child should come in whenever he or she is sick, injured or is displaying unusual symptoms. Can my teenager visit the pediatrician? Yes, pediatrics includes care for teens as well as younger children. What happens during a pediatric well visit? Your child's pediatrics visit will begin with a medical history and a discussion of any current issues to help guide care. Height, weight and blood pressure will all be measured and recorded. General examinations will be conducted to check your child's ears, eyes, throat, and nose. We also listen to your child's lungs and check your child's tummy for any signs of tenderness. You and your child may be provided with guidance and education on how to stay healthy, including advice on diet and physical activity. If your child is due for any immunizations, those will be provided as well. Finally, there will be plenty of time for you and your child to ask questions. How can I tell which immunizations my child needs and when they need them? 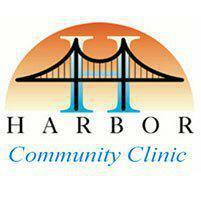 At Harbor Community Clinic, we have extensive experience in providing immunizations according to the schedules and recommendations set out by health agencies as well as ensuring your child has the required vaccinations to attend school.